Five years!! Five years already, since I sat in the front row of the first Canadian Human Rights Tribunal ever opened to the public at 160 Elgin Street here in Ottawa and heard those astounding, jaw-dropping words. Hard to believe that time can fly so fast. Harder still to believe that a federal government official charged with adjudicating free speech in Canada should harbour sentiments so at odds with 800 years of Canada’s legal and constitutional inheritance!!! 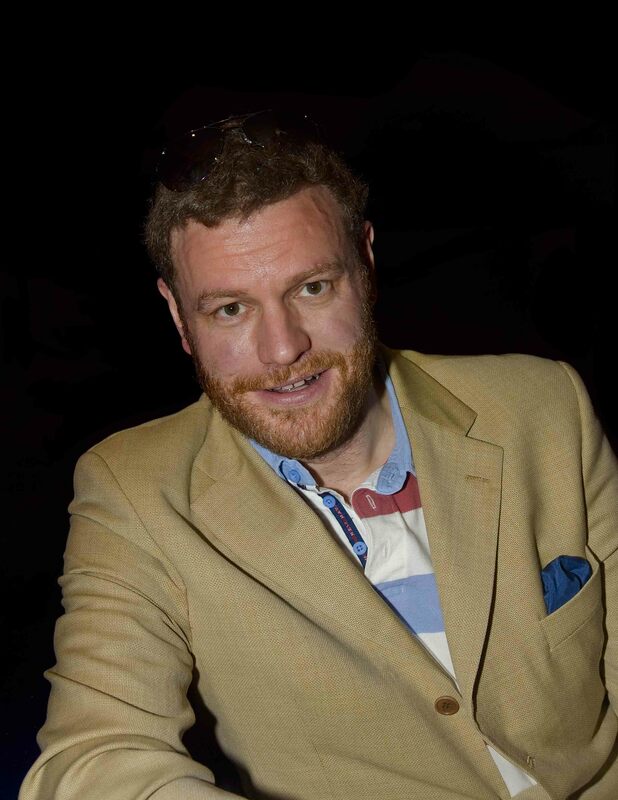 I turned to look my front row chair mate, author Mark Steyn, straight in the eyes. We shared a moment of total disbelief. Were we in Ottawa, the nation’s Capital, or had we been suddenly transported to planet Zongo?? I had previously met Mark on a cruise off the west coast of Mexico where he graciously accepted to pose for the above photo. This day he was in Ottawa scouting out the terrain of the Human Rights Commission. He and his publisher, Canada’s oldest magazine, Macleans, were up next to be tried in Canada’s infamous kangaroo court for his article, The Future Belongs to Islam, which the Canadian Islamic Council had found offensive and had filed suit. It was Mark’s colleague and partner in human rights crime, Ezra Levant who had counseled him not just to defend himself but to “go nuclear” with the Human Rights Commission and put them out of business. That’s exactly what they did and the rest is history. At the time, Ezra was himself being investigated by the Alberta Human Rights Commission for the offence of having published the Muhammad cartoons in his magazine, The Western Standard. That’s right dear reader, the only government in the world to have pursued one of its citizenry for having published the cartoons was not Saudi Arabia or Egypt. No it was dear old red-neck Alberta!! A baker’s dozen of bureaucrats had signed off on the dossier over a three year period forcing him to spend tens of thousands of dollars in defending himself against such lawfare. For his stalwart defence of his position during preliminary investigation click here. I am proud to state that I contributed several times during that period to fund his legal defence bills. Many villages claim to be the heart of England but only Runnymede can claim to be its soul. There in 1215 at a bend of the River Thames not far from Windsor Castle, Magna Carta Libertatum was signed transferring rights from King John to the people. First and foremost of these was the freedom of expression. 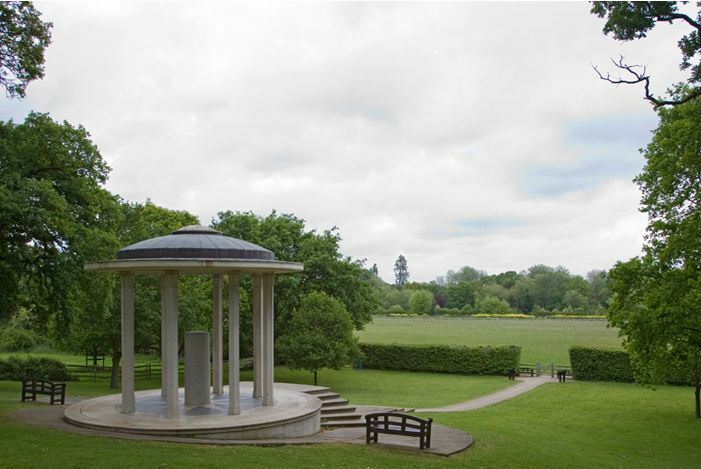 On my first pilgrimage to the Memorial at Runnymede back in the 60’s, I was amazed to learn that it had been erected by the American Bar Association. Not surprisingly, it turns out that much of the foundational American legal and constitutional framework drew upon concepts already extant in British Common law. The US First Amendment guaranteeing free speech owes more to Magna Carta than either George Washington or Thomas Jefferson. The monument at Runnymede proves it. Take that Dean Stacey!! For the past 250 years the Anglosphere has been the cream of western civilization. The guarantees of freedom within its generous embrace has given rise to unimagined prosperity and freedom to the citizens of its fortunate member countries. Imagine that if as a condition of the granting of the Beijing Olympics, that the chicoms had to come down to Tiananmen Square and sign on to a something like Magna Carta. How delicious it would have been to see Mubarak forced to do the same in Tahrir Square, Cairo. With last week’s repeal of Section 13 (c), Canada’s federal government has ended bureaucratic enforcement of politically correct speech codes which in recent years had made us the laughing stock of the English speaking world. History will record this singular piece of legislation as perhaps the greatest achievement of the present government. Shame on the 136 opposition members who voted against it. If there were any justice in this world, Mark Steyn would be nominated as our next Governor General and Ezra Levant would be up for the Order of Canada. Sinecures and awards aside, they have given yeoman service in the restoration of our ancient rights and liberties. Well done, the both of you!!! 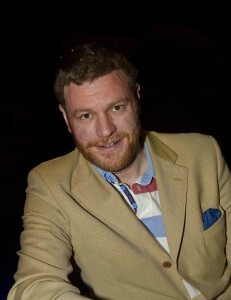 For Mark Steyn’s take on these developments, click here.